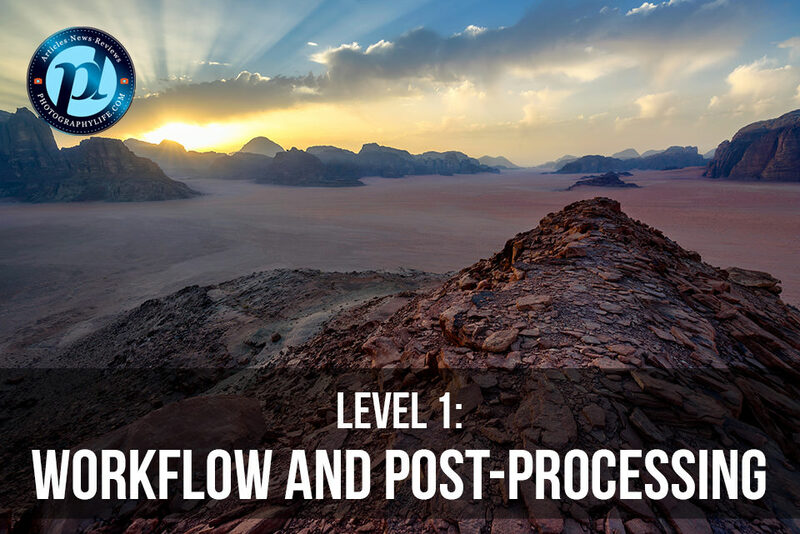 Our second Photography Life “Level 1: Workflow and Post-Processing” course is now available. Featuring John Bosley and Nasim Mansurov of Photography Life, you will get some of the best educational material that gives you full coverage of the entire photography workflow process, detailed information on different post-processing tools available on the market today (along with the overview of the most popular ones), and in-depth coverage of Adobe Photoshop Lightroom. While our first course was definitely intensive for beginners, this particular course takes it to another level, with over 14 hours of content! In addition to the above, you will also learn how to properly organize your images and your Lightroom catalogs, find out about computer hardware required for post-processing, and even learn how to properly backup and export your images. To make it easy for you to follow the course, we are providing all relevant raw images, so that you can try all the tools we teach you to use. Without a doubt, this is one of the most detailed and complete courses you will find on both workflow and post-processing! While the course is aimed at beginners, there is plenty of content for intermediate-level and even more advanced photographers. At the end of the course, both John and Nasim show their ways to edit images through case studies. 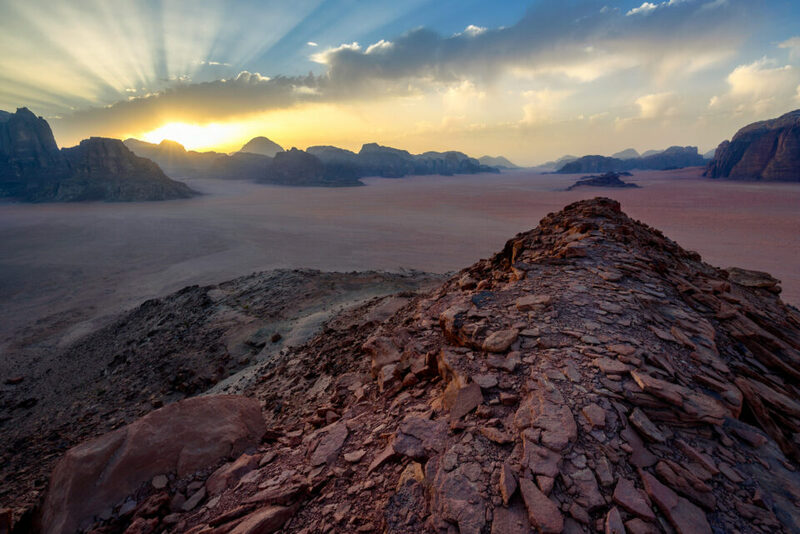 John starts out with a sample image culling and editing process in Lightroom, while Nasim performs detailed post-processing of a landscape image in Lightroom, then uses another image to perform editing in Photoshop. As you can see, the course is very detailed and extensive – we did our best to cover everything we know about workflow and post-processing. If you would like to find out more about what’s covered in the video, check out this Table of Contents document for details. Each of the chapters is recorded in High Definition at 1080p, 23.9 fps in MPEG-4 format. The total size of the tutorial is roughly 26 GB. For those who have issues with Internet bandwidth, or those who are planning to watch the content on smaller devices, we decided to also provide lower resolution videos in 720p resolution – the total download size is roughly 15 GB. Both downloads have the necessary material to follow the course (such as raw images, Lightroom catalogs, etc). The entire course can be downloaded instantly (digital download versions) or if you choose the USB version, you will get both. We designed the course in the same format as a photography workflow – from the moment you insert your card into your computer, all the way to exporting. Since we use Lightroom heavily, we put a heavy emphasis on it in the course and shot over 7 hours of Lightroom content alone. Considering that we go into detail about every sub-module and each slider in the Develop module, we are proud to say that this is probably one of the most in-depth Lightroom tutorials out there. And we don’t just show you how to edit images – we even go into more advanced Lightroom content, such as file and catalog management. 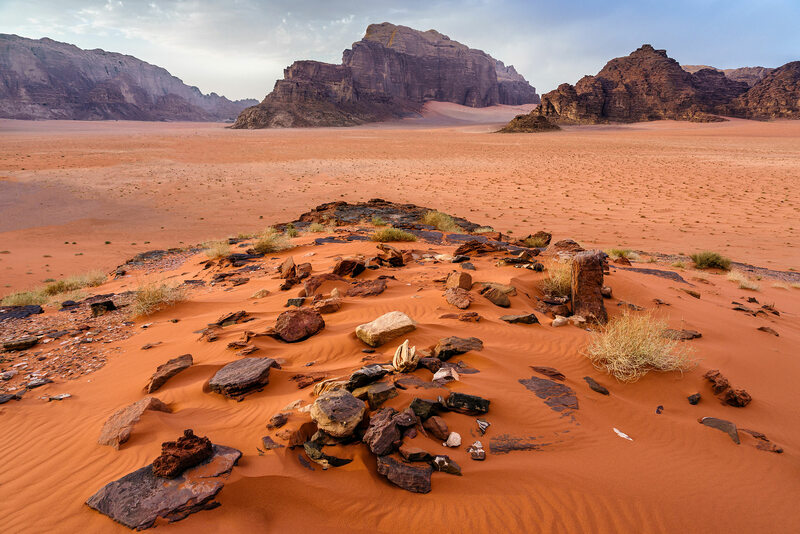 The beauty of the course is that it is not just aimed towards beginners – there is solid content for even more advanced photographers, who want to explore post-processing in more detail. In the case study section of the course, both John and Nasim show you their day-to-day workflows and how they edit images. And we are planning to release more case studies in the future! 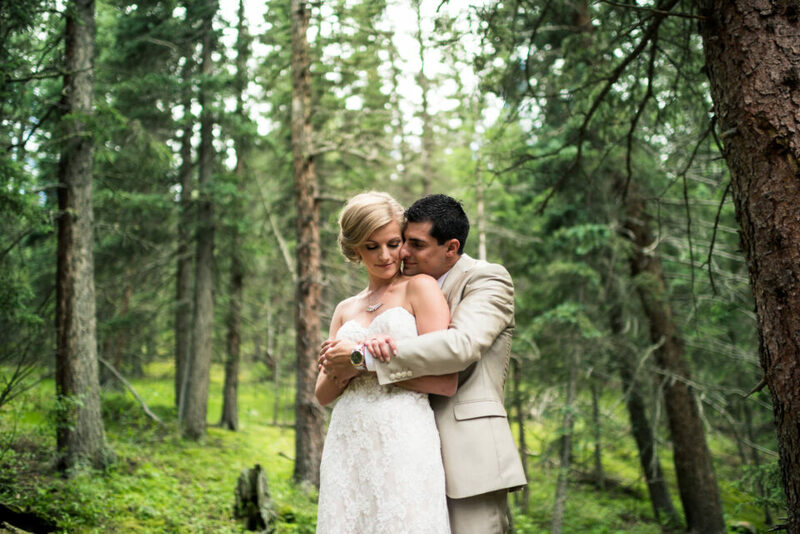 Consider our courses as solid investment in your photography education. Now that we have two full courses that cover all the basics, we will be taking education to the next level from here. We have huge plans for this project and the idea is to make a few foundation courses today, so that we can keep taking your photography training to higher levels in our future courses. From here, we will move on to more complex training material. The good news is that we won’t be repeating any of the basics in those higher tiers, so there won’t be any duplication of efforts. So the courses will follow a university-style program with a good amount of pre-requisite material that is recommended to master first before moving up to the next level. We are confident in the quality of the material presented in this course and we back it up with a 100% satisfaction guarantee. If you are unhappy about your purchase, we will gladly issue a full refund. 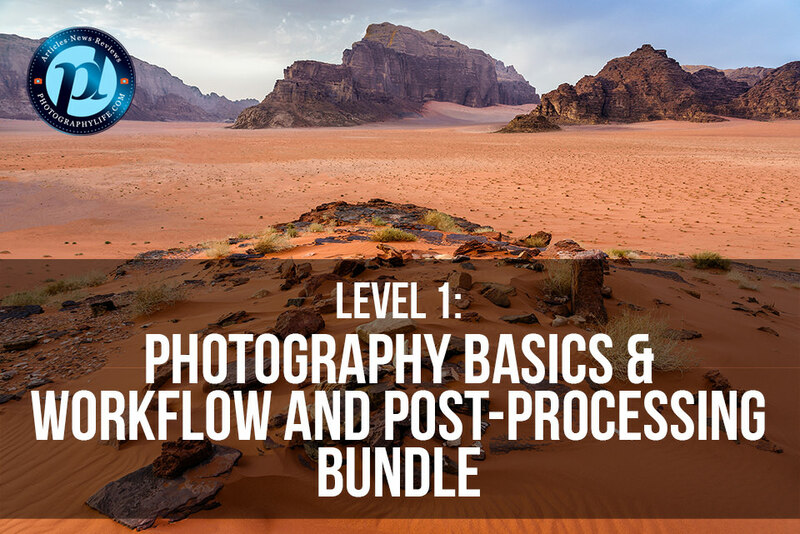 This is a great series with a wealth of information about workflow, post processing and different types of photography all in one package, which I enjoy so that I can review it several times. The instruction is clear, concise and organized, and the videography is quite professional. I particularly enjoyed the case studies, particularly on wedding photography and portraiture, since I know very little about those areas of photography. 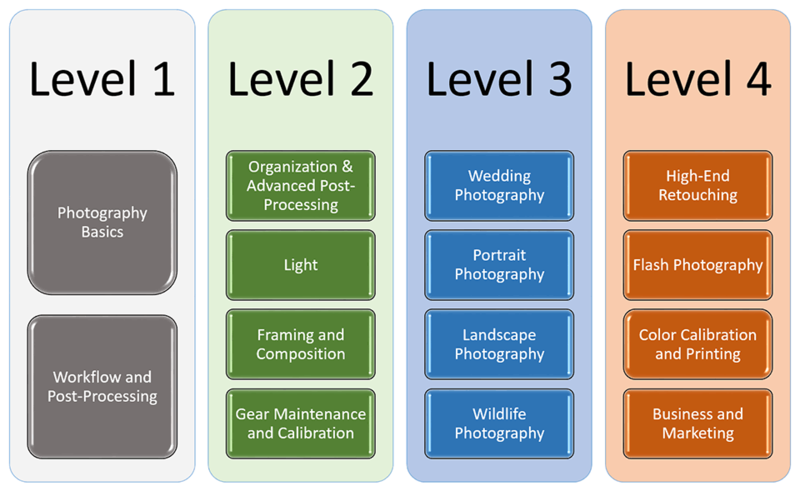 There’s something here for everyone at every level of photography, though I think it’s primarily targeted toward a beginning to intermediate skill level. I’m more at an advanced intermediate level, but there are topics here that I had questions about, like combining catalogs in Lightroom, so I find this a great reference. 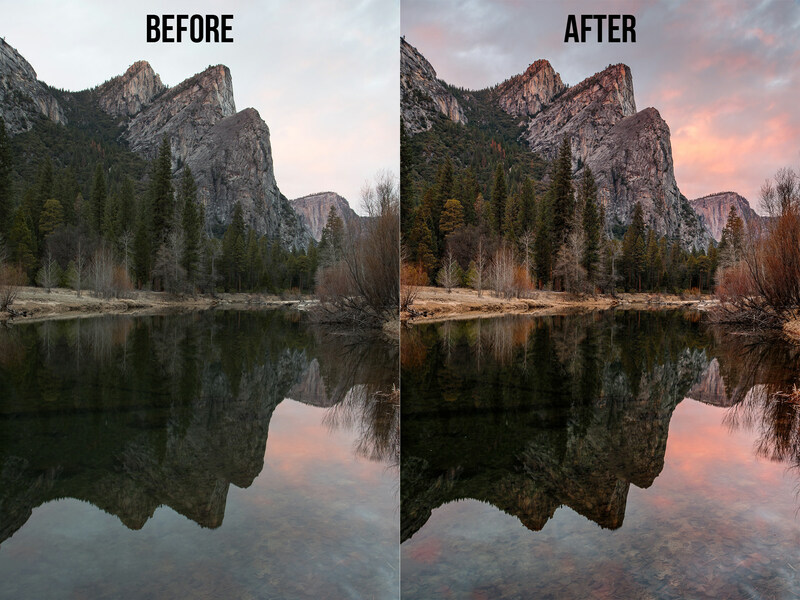 I’m hoping for more advanced post-processing information on Photoshop in the next series, though I know that’s a massive topic. Thank you to Nasim, John and the Photography Life Team for offering these tutorials. I’m looking forward to the next installment! I had been waiting for this course ever since Nasim first talked about it and announced that it was in the works, as my Lightroom catalog was a mess, unorganized and hard to navigate. The chapters on importing, file management, image culling, LR catalogs, modules and navigation were extremely helpful and informative, just what I needed to get some order to my catalogs. I was glad to see the DxO Optics Pro overview as well, since I had recently purchased that software also. The backup, exporting images, printing, and the case study chapters were extremely helpful also. The chapters are easy to listen and follow along to. Nasim and John did a great job presenting all of the information in the videos, as did the whole PL team in producing the videos as well. I continue to go back and re-watch the videos to reinforce what I have previously watched, and I am waiting for the next course level to be released. Thank you again for making a fantastic set of professional videos covering workflow and post processing. A great course, very informative and very very well explained (as usual with PL…). Just a pity that the Capture One chapter is so short… I really hope there will be an addition in the future on the subject! This course is nothing less than fantastic. A great way to make oneself a better photographer. I’m relatively new to DSLR photography, and I learned a lot. Wonderful to get such an extensive, in depth tutorial on Lightroom for instance. After this course, I’ve found photography to be so much more enjoying. Thanks, guys. And, by the way, for me who doesn’t have English as my native language, a special thank you to both Nasim and John for their excellent English which makes is very easy to follow the course. So all you other not-native English speakers, don’t hesitate to buy this course. In summary: This course is one of the best investments I’ve made so far in my photography “career”. This course has helped me take my photography to the next level. I bought the bundle and learned something useful in every module. The course design is very logical and easy to follow. The speaking is clear and concise and I never feel like my time is being wasted. I’d like to see a course on wildlife photography. Feedback: It was exactly what I was looking for and hard to find anything to criticize – but I do have a couple of small suggestions for improvement; 1. it’s a little awkward when Nasim or John is talking and looking off camera. Might be better to get two cameras if you want to change the angle or have another person in the shot so they can be talking to someone seen. 2. The striped shirts are distracting. Maybe better to get some plain black T shirts. Hope this helps for the next course, which I will definitely be buying. The course has been a very helpful in understanding work flow and post processing. I have been real hesitant to do post processing due to the seeming endless ways that it can be done. This course has made it understandable and a whole lot less scary. I realize the course has only scratched the surface to post processing but it has laid a foundation and given me a starting point in making my pictures more presentable and bring out there highlight. Both John and Nasim have presented the material in a clear organized matter. However when Nasim was covering lightroom I was getting confused about the steps that he was explaining and would have to repeat that particular section until I understood it. Nasim knows lightroom extremely well but he is teaching, at least me, people who may not have a good understanding and a slower delivery would be helpful. I would encourage anybody who needs to understand work flow and post processing to buy the course. This is an excellent course on workflow and post processing. Very good in-depth videos especially on Lightroom. This course has definitely improved how I process my images. Previously, I never used to spend much time on the LR Develop module but this tutorial has motivated me to do more on the images. I wish I had this great tutorial when I started photography few years ago. I definitely recommend this course for all those are new to photography or anyone who wants to learn more on post processing. 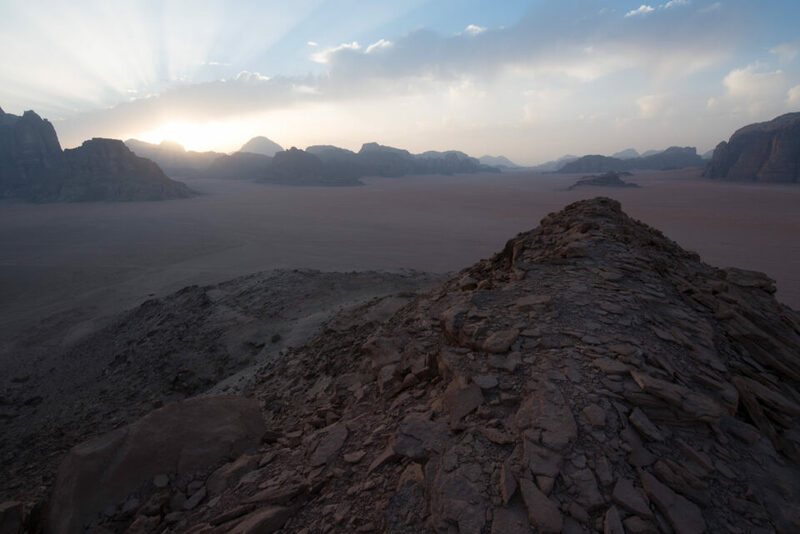 If you have been shooting jpeg’s and want to start using RAW images, then this course is for you. I used to shoot a mix of RAW and jpeg but after going through this course, I shoot only RAW. Thanks to John and Nasim for this excellent course, money well spent. Fantastic course. In-depth compendium of information that you can keep coming back to. I don’t think I have found anything quite as accessible on how to use Lightroom as this course. Gives an understanding into what and why you would do certain steps in your processing workflow. Invaluable for an armature (and I would suspect some aspects for a pro too). Great course! This is one of the best courses I’ve seen on Lightroom and the instructors explain the details very well for a beginner like me :). They also give you samples of other software you can use for post-processing. I enjoyed the videos and can’t wait for the next courses. Excellent course with real-life examples of using Lightroom in an orderly, efficient, and constructive manner. Thanks so much for the tip on how to organize photo folders systematically – led to reorganize my entire catalog and it is much better! Looking forward to future courses. I purchased this course last month, December 2017. I recently upgraded to a new computer which is finally able to run Adobe Lightroom. Nevertheless, I totally enjoyed the course and I would recommend it to any novice to intermediate photographer looking for a good introduction into digital post-processing. It does touch other software alternatives but it’s mainly dealing with Adobe Lightroom and Photoshop. They cover all features of the Lightroom that you can imagine, and after you finish the course you will feel very confident with it. I have more than 60,000 images on my computer and I initially created only one big catalog which was hard to manage. I listened to Nasim’s advice and created separate catalogs for each year. It’s a lifesaver! The whole course is full of great advice and you will have to watch it several times to absorb all the information.